Photographed: Olenka Skrzypczak de Camporota and Danuta Skrzypczak from Gesca, and Gillian King and Steve Fipke from Tendeka. 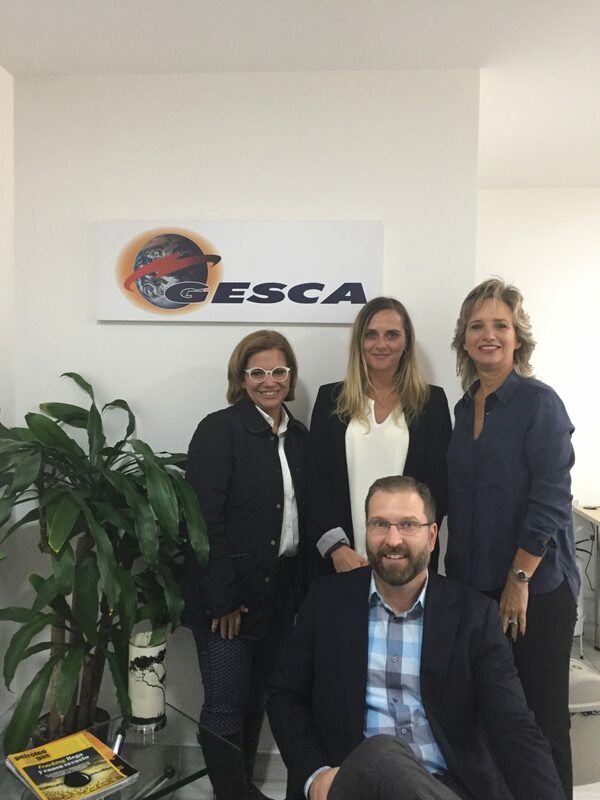 Tendeka recently celebrated a significant milestone in the North & South America region – 2 years working with GESCA, our agent in Colombia, to bring our completion solutions to the country. It’s been a tough few years for the oil and gas market in Colombia, like many other places around the world. But Colombia has a lot of other factors to take into consideration… peace agreements with the paramilitary and armed guerillas allowing oil rich area’s previously too dangerous to work in to be developed, continual local protests preventing exploration and ongoing threats to security are the first that spring to mind. In 2015, oil production was over 1million BPD, production fell by around 12% in 2016 and the amount of public revenue from oil & gas significantly decreased. In May this year, a massive new discovery (Colombia’s largest in nearly 30 years) in the Caribbean Sea was announced by Ecopetrol and Anadarko. It’s being touted as a whole new gas province! When we visited, everything felt very optimistic with an increased number of wells being planned, and talks of increased investment from Ecopetrol and the various other operators that we met. The reservoirs in Colombia are particularly well suited for Tendeka’s technologies and we see the area as being a key market once things start to pick up again. GESCA’s 27 years of experience and focus on providing effective and timely solutions to the oil & gas industry will enable us to develop our business here. They know the area, have the experience and the relationships, and with our products and technical expertise we can provide the client with integrated solutions to enhance their well productivity. For me personally, out of all the countries in the world that I’ve visited, Colombia is my favourite. It’s a very special place and I’m looking forward to going back again soon!